BEST Six 6 Months / 6 Weeks Industrial Training/Institute/Company in C/C++ Programmming in Chandigarh / Mohali / Bathinda / Punjab INFOWIZ. Best Industrial Training Company in Chandigarh / Mohali / Bathinda / Punjab-INFOWIZ (ISO certified company) provide Advanced C Language training and also provide personality development classes which improve your personality and communication skills. INFOWIZ is Live Project work training center in Chandigarh / Mohali / Bathinda / Punjab . 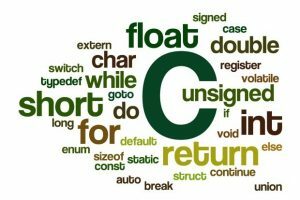 C is basic Programming language. From this language your career starts in development and Infowiz provide the best C course in Chandigarh / Mohali / Bathinda / Punjab. company in C/C++ Programming in Chandigarh / Mohali / Bathinda / Punjab INFOWIZ.